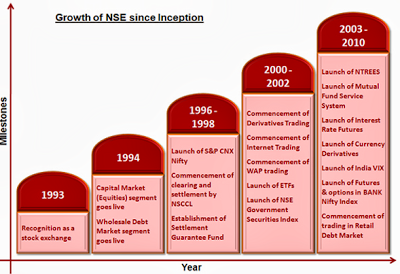 Why you Should Not Trade in Special Trading Session at NSE and BSE? Special trading sessions are those sessions which are held on a different time for which separate circular or announcement is made by the exchange. These sessions may be for back testing of the software's or their up gradation. We will analyse that whether one should trade in special sessions or not and same is with analytical proof. Why you should not trade in Special Trading Session? As a thumb rule one should not trade in a special session as volumes remains thin and thus depth in market is very low. This fact can be seen in light of special trading session held on Saturday by the National Stock Exchange (NSE) and the Bombay Stock Exchange (BSE) and it evoked a tepid response from retail traders and brokers. This special trading session was for upgradation of software and hardware systems of NSE and to maintain uniformity, the BSE also decided to hold a trading session. The live trading session was supposed to focus on the capital market segment, the futures and options segment and the Securities Lending Borrowing Scheme. As we can see that volumes are thin on special sessions as total turnover on the NSE and the BSE was Rs 1,094 crore (Rs 8,937 crore) and Rs 366 crore (against the previous day's turnover of Rs 1,968 crore), respectively. Trades generally takes place only in the cash segment. Participation is poor as a number of retail investors are generally unaware of the special trading session. These special sessions are generally held on Saturdays and being a weekend, most brokers stay away from trading. Brokerages inform their clients about the trading session, however most of the times retail participation is poor. Brokerages generate around 5-10 per cent of their daily revenue as retail investors prefer to stay away. Last but not least have one less day of tension. Keep visiting our website to get stock tips which will make money for you every day in stock market and that too in a matter of 2 hours only in morning.